Originally opened in 1907, the Southern Hotel boasted the latest luxuries of its time: hot water, electric lights, carpeting, ballrooms, galleries, a tennis court, formal garden, and unparalleled service. 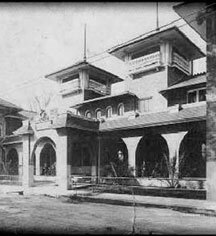 The mission-style hotel attracted guests and luminous visitors from around the world. 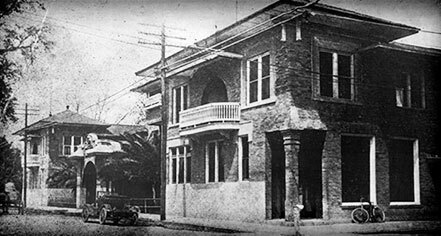 In 1912, a local physician purchased the hotel and reopens it as a Wellness Center, which it remains for nearly 50 years. After a 20 year stint as the St. Tammany Parish County Courthouse, the property is restored to its original purpose and glory as the Southern Hotel. A team of dedicated local developers purchased the Southern Hotel, 45 minutes north of New Orleans in late 2011 with plans to reopen the property as a full-service hotel. Trapolin-Peer Architects were brought on board to restore the hotel to a luxurious getaway while preserving its historic and architectural significance. Exactly 107 years after its original open date, on June 1, 2014, the Southern Hotel celebrated its grand re-opening.